Here’s something to take the sting out of a post-holiday return to the workweek: A glittery global restaurant group has finally planted a flag in Boston. Nahita opens tonight in Back Bay and its melting pot of a menu involves sashimi, tacos, and plenty of Turkish spices in an urban jungle-like setting filled with palm fronds and Italian marble. 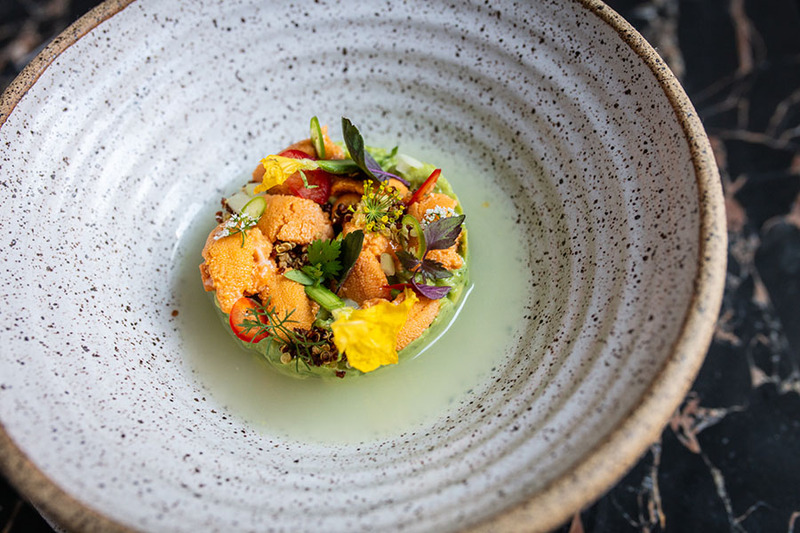 Nahita, named for an ancient town in Turkey, launches dinner this evening at 100 Arlington St., the space that formerly housed Liquid Art House. Now the Park Square-side address belongs to a similarly swank spot, the first Massachusetts venture from DREAM (Doğuş Restaurant Entertainment and Management), a major Turkey-based player with a presence in 12 countries. Other sweet DREAM operations in the States include Nusr-Et, a luxury steakhouse chain fronted by suave chef-meme sensation Salt Bae (aka Nusret Gökçe), and Zuma, a multi-city modern Japanese outfit that will add a Boston location at the One Dalton residential tower next year. 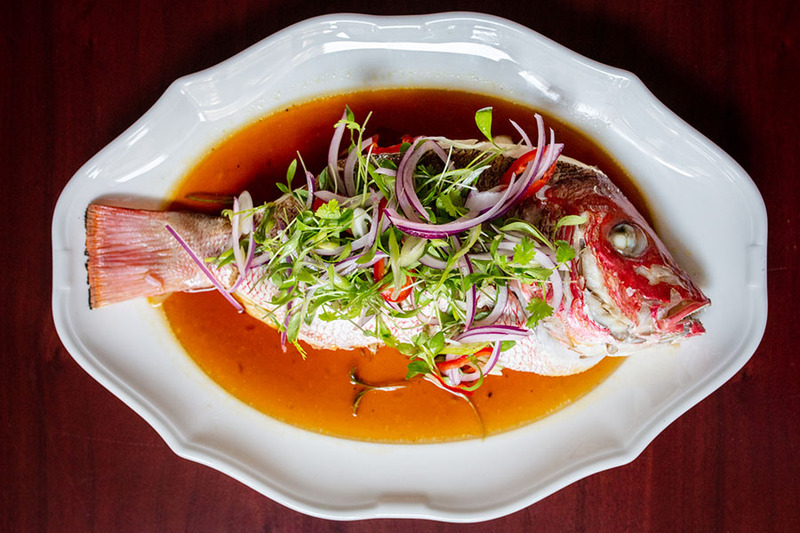 Executive chef Efe Onoglu, alum of the José Andrés and Michael Mina empires, is in the kitchen at Nahita, and he’s drawing inspiration from the food at Fenix, another DREAM restaurant with two locations in Turkey. 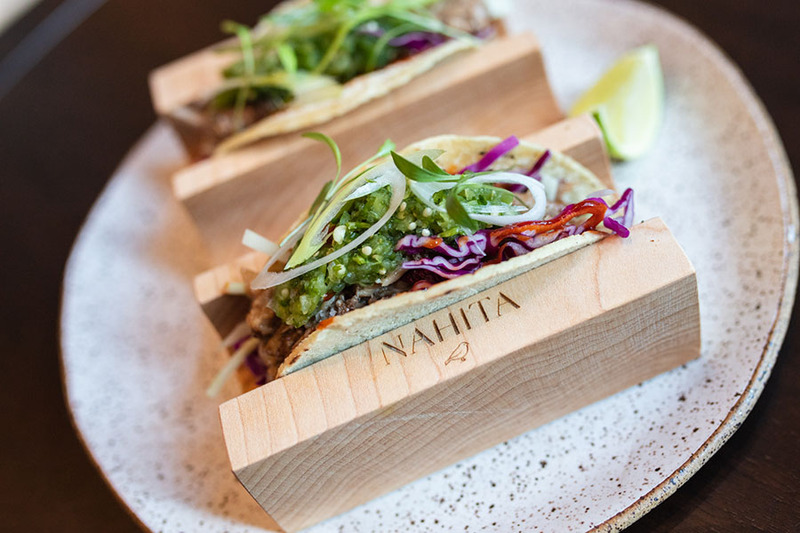 Nahita covers an array of Asian- and Latin American-inspired bases, encompassing Nikkei (Japanese-Peruvian) dishes like tiradito, a spicy crudo cousin; straight-up Japanese sashimi, and internationally-inflected tacos filled with everything from spicy uni to zucchini flowers. A “For The Table” assortment includes family-style plates like a 30-day dry-aged Black Angus porterhouse, and mirin-braised whole duck served with corn tortillas and mole sauce. Throughout the menu, Turkish touches abound. The multinational mashup extends to a cocktail list that includes elixirs like the Shiso Malt Sour (Japanese whiskey with shiso leaves, absinthe, and egg white) and Cold Smoke (tequila with coffee liqueur, mezcal, and horchata sorbet), while the wine list, over 250 selections strong, emphasizes Latin American producers alongside other offerings from Turkey, the U.S., and across Europe. They’re all served at a bronze-trimmed, 22-seat bar of black and gold Italian marble. A rep for the restaurant also promises details on a 12-person “Fenix Speakeasy” bar coming in the Fall. The restaurant’s interior essentially erases all traces of Liquid Art House, a sterile-feeling space anchored by a street art mural and contemporary art exhibitions. 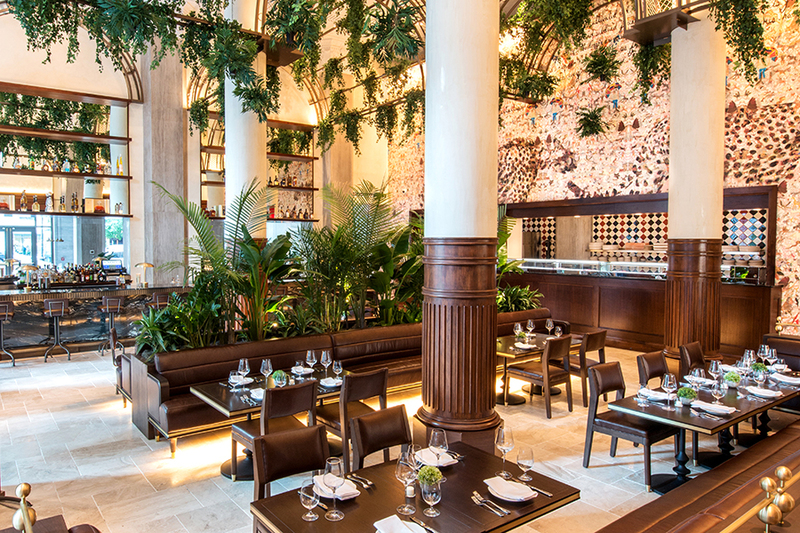 Nahita pops with jungle-like greenery: Brown leather banquettes are flanked by palm fronds, and plants drip from the lofty ceiling’s bronze arches. The 20-seat lounge and 160-seat dining room feature design fixtures like a wall-length mirror and a massive wallpaper mural, also found at Fenix, of wild cats and other elements inspired by artist Peter Beard’s adventures in East Africa. There’s also a 14-foot-long backlit seafood display, another Fenix tribute, plus the marble Table 43, with front-row views of Arlington and Stuart Streets. Nahita will serve dinner Sundays through Wednesdays from 5:30 p.m.-10 p.m. and Thursdays through Saturdays from 5:30 p.m.-11 p.m. Lunch service will launch in October.